This cool kids collection is jam-packed with indie jams. It features one seriously blissed-out Puff the Magic Dragon cover by the Broken Social Scene, as well as great original songs from Sufjan Stevens, Apostle of Hustle, Hot Chip, Junior Boys, Rosie Thomas (Babe the Blue Ox), Alan Sparhawk (Low), and Mark Kozelek (Red House Painters). Your child will love the title track by the Great Lake Swimmers - it's one of the best children's songs ever laid to tape. 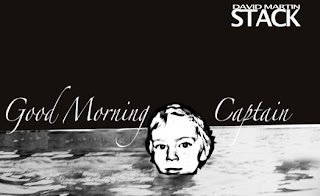 One of Posterband's own books, Good Morning Captain, has recently been getting a bit of attention online. It's been covered in Pitchfork, Flavorpill, New York Magazine, TransWorld and a bunch of other places. New York Magazine called it the "world's most terrifying children's book" which I guess is a pretty unique distinction. In the past couple of weeks, the book has found over 8000 readers. 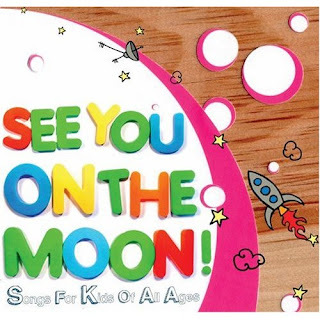 As just about everyone has noted, a children's book inspired by Slint's Good Morning Captain seems like a pretty strange idea, so I thought I would offer an explanation. It should come as no surprise that it wasn't exactly on purpose. The story actually came first, before there was any connection to the band or this song. This story was originally conceived as a simple allegory of a young child struggling with bedtime as though cast adrift on scary seas. I was inspired to write it watching my own son standing bravely in his crib one night, like a sailor staring down a storm from the ship's crow's nest. My son has always really struggled with bedtime. Basically, as I was illustrating the book, the black and white artwork and the nautical theme quickly brought to mind this record, which I loved, and basically the title just leapt out at me. And it was so perfect. Then, perversely, I found myself adding sly little references to the record covers and a couple of lines from the song. I figured people who knew and loved the song would actually appreciate the subtext. And anyone else would never know what they were missing. As for whether or not the book is too dark, I'd just say that kids are more complex than we often give them credit for. I'd remind people that the author of the "world's most terrifying children's book" has also written several colorful, cheerful books about robots (Robot Garden and Robot Workshop). Check out the book here: Good Morning Captain. Experts agree: you should read to your child for twenty minutes every day. Less commonly understood is the importance of scatting with your child. How else are they going to develop any rhythm, people? 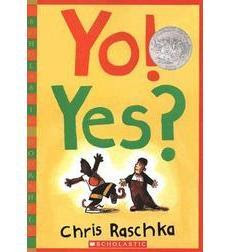 Allow me to suggest two fine resources in this area: Chris Raschka's Yo! Yes? 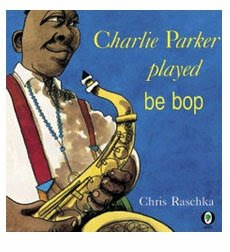 and Charlie Parker Played Be Bop. Raschka is a special talent with jazzy brushwork that perfectly complements the snapping rhythms of his text. Each story sounds amazing to hear out loud (regardless of your own scatting skills). The funky sounds never fail to delight the little ones who can't help but join in the fun with some funky sounds of their own. But beyond the rewarding musicality of the text and the art, there are some important life lessons to be gained as well. Despite its simple text, Yo! Yes? is actually one of the most profound books on friendship you'll likely find for your child. And Charlie Parker offers an effective primer on how to be super, super COOL. Finally, a puppet show dance party for the rest of us! This lo-fi little gem of a program has a few screws loose and all the wires are showing, but there is a lovable cast of corny characters led by the hilariously daffy hand-puppet Rufus Leaking. And it plays hosts to lots of great rock music with performances and cameos by Fiery Furnaces, Ted Leo, Arcade Fire, The White Stripes, The Flaming Lips, George Clinton, Henry Rollins, Bright Eyes, Scissors Sisters, the Misfits, Weird War. It's basically nuts. And kids totally understand sarcasm - believe it! Children's public access programming endures in the age of YouTube! 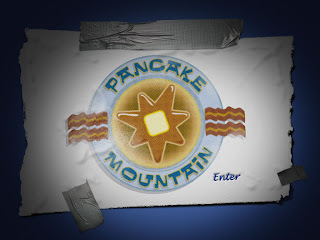 They've created a great commercial for themselves here: Pancake Mountain. It should give you the basic idea. This book actually rhymes with ROCKS! It is eye-popping. Beware those little eyes. But kids will get it. New socks. New sneakers. Whatever. It's all new to them. Basic, but brilliant.